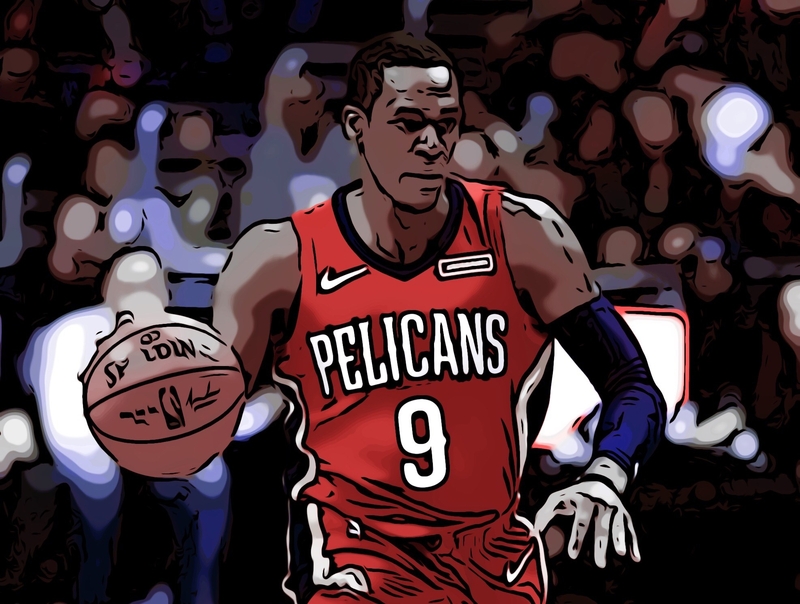 Could Rajon Rondo really be coasting through the regular season and then turning it on when the playoffs come around? I needed to know. People have long accused Rondo of only coming out to play when it really mattered. I’m not sure if I’d be aggravated or grateful to have a teammate like him. On the one hand, someone who steps up in the biggest moments would be an asset to any team. On the other hand, if you knew your teammate had another level and chose not to play to the best of their abilities, that would be frustrating. At face value, it’s pretty obvious that his numbers are better during the playoffs. It’s an impressive jump, but it makes you wonder. At second look, you might notice that his turnovers are up too. Maybe the jump is that he’s handling the ball more? Yes and no. He is handling the ball more but it’s because of a jump in another statistic…. minutes per game. During the 2018 regular season, Rondo averaged 26.2 minutes per game and in the 2018 playoffs, that number jumped to 35.3 minutes per game. One would hope that if you’re playing 9 more minutes per game that you would be producing during that time. His stats per 36 should be a better way to compare his production because it shows stats based on an equal amount of playing time. As you can see, his assists and rebounds are up so this would point to Playoff Rondo being a real phenomenon, but this is only for last season. Nothing about the difference between these two number sets really jump out at me. His points are slightly up but nothing to write home about. According to the story that the numbers tell, it looks like Playoff Rondo is a myth. The only thing I can say to the contrary is that maybe Playoff Rondo shows more effort and contributes more in ways that don’t show up on the box score. Things like hustling for loose balls, highlight plays, and better defense. I guess it would be fair to say that Playoff Rondo is less of a statistical anomaly and more of a state of mind. Either way, we’re all looking forward to seeing Playoff Rondo paired with King James in this season’s playoffs.